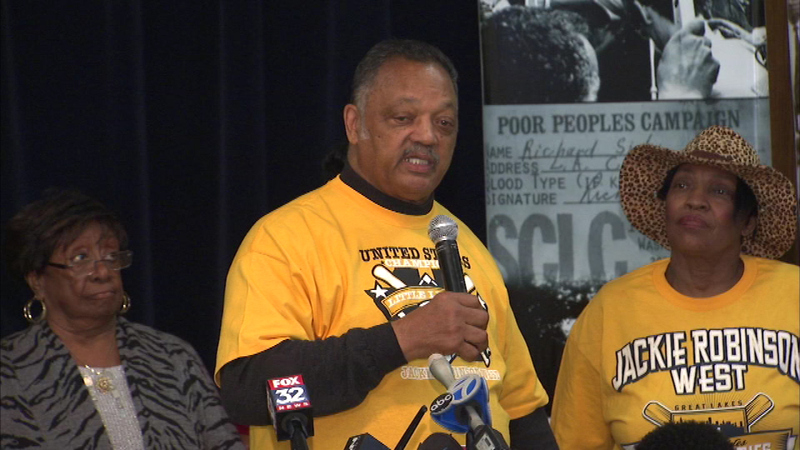 The Rainbow PUSH Coalition held a rally Saturday in support of the Jackie Robinson West All-Stars. CHICAGO (WLS) -- The Rainbow PUSH Coalition held a rally in support of the Jackie Robinson West All-Stars, who had their Little League national title taken away after it was found some players live outside the team's boundaries. Community leaders, residents and the players' parents gathered Saturday morning at Rainbow PUSH headquarters. "These are not cheaters," said Father Michael Pfleger. "These are young men that have played the game, won the game on the field, and they are the champions of the United States." Chicago mayoral candidates Jesus "Chuy" Garcia and William "Dock" Walls also attended the rally.